As every family is unique, so are The Ruggeds. In Between Us you’re invited into their home to find out what makes them tick. They unravel the ties that bind them together, between each other, and between the audience. With a mix of music, acrobatics, humor, and dance, you'll be submerged in their world of imagination. 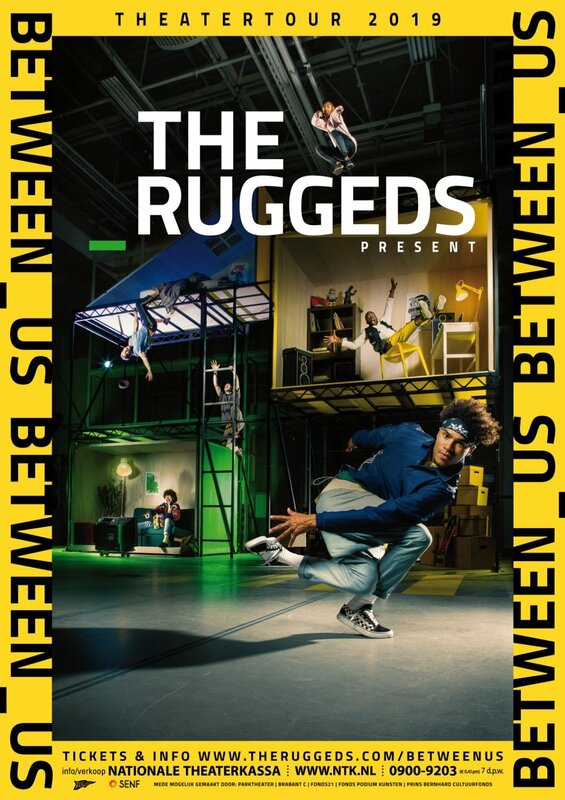 Between Us is the second theatre production of The Ruggeds. In 2017 they toured with their first successful production Adrenaline through the Netherlands. Fragments of this production were also performed with great success in London, Paris, Beijing, New York, Toronto and many more. In Co-Production with Parktheater Eindhoven.